The Ricoh Theta 4K is the upcoming update to the very successful Ricoh Theta S. Announced way back in April, we haven’t had much more about the camera, until now! 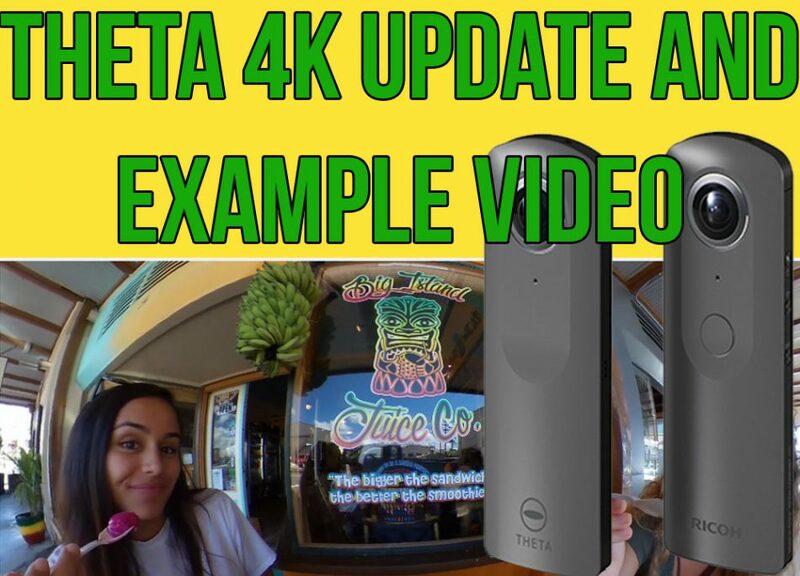 The first ever example video shot with the Theta 4K has been released to the public and we also now know what the official name of the camera will be. The sharpness of the video is at least on par with the Gear 360 2017, in fact it looks slightly sharper which probably means the Theta 4K will shoot at a higher frame rate. The colors pop quite nicely and the audio is pretty clear. As you can see from this close up there are some issues with stitching accuracy and the stitch line is pretty visible as it transects the lettering. 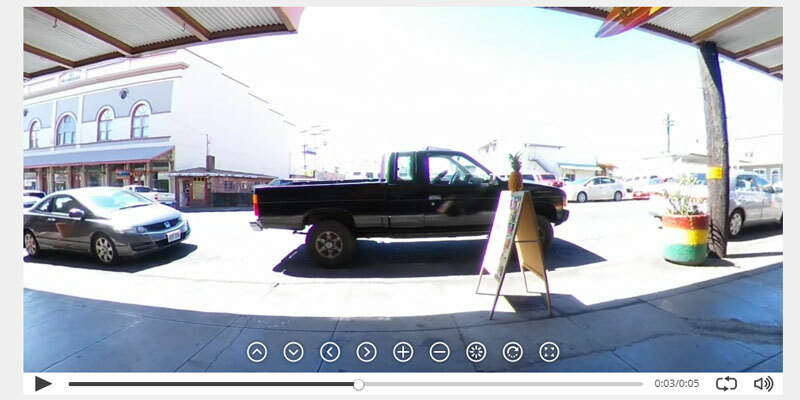 This is an issue present in most 360 cameras and can be avoided by keeping your camera further away from other objects. Stitching can also be improved via software updates. The white balance in this shot isn’t great, with one side completely blown out by direct sunlight. Again, this is an issue found in most 360 cameras which don’t seem to handle direct sunlight going into just one lens. Again, this can be avoided by positioning the camera so that light enters both lenses relatively evenly. Overall this video represents a big improvement in video quality compared to other Ricoh 360 cameras, I just hope that the photo quality hasn’t been sacrificed to enable this. Ricoh Theta V – Official name discovered? One eagle eyed Theta fan spotted that Ricoh have registered the name “Ricoh Theta V” for certification in Indonesia. As far as well know Ricoh only has one new 360 camera in development, so it’s pretty safe to assume that the Ricoh Theta 4K will actually be called the Ricoh Theta V once announced. Ricoh are close to formally announcing the Ricoh Theta V and until they do we won’t know the full specifications of the camera. We can deduce some specs from the initial announcement and subsequent leaks. 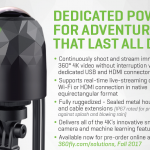 And that’s about all we know about the new Ricoh 4K 360 camera. It looks like the camera is going to be formally announced pretty soon, hopefully with a release date, price and full specification list. I’ll be keeping my eye out for that announcement and I’ll let you know as soon as I hear. Opt-in to my 360 camera email alerts to get the info on new releases asap.